Don't stop! We want to hear more! Don’t stop! We want to hear more! Summer Bible camp. How Megan* loved the week-long escape into the quiet of nature. The rustic cabins nestled among the evergreens, the liveliness of the campers, the crackling bonfires in the evening… it was all one big highlight. But there was something that brought even more joy to Megan, and that was watching God at work in the hearts of the campers. When Megan was asked to be a main speaker at a girls’ Bible camp, she was more than willing to oblige. She also knew what she would talk about. Ever since she had attended a TERM Seminar, she had been sharing the gospel using a Creation-to-Christ approach. She decided to use the five days of camp to do this once again. That week there were about 40 girls in attendance, ranging from age 11 to 14. On the first morning of chapel, Megan looked over them as they sat, whispering and giggling, in their rows in chapel. She was filled with such a love for each one of these bright-eyed girls, from so many backgrounds, with such varied personalities. Megan prayed that God would use her words to bring understanding of his love and salvation. Megan spent the first few mornings on the Old Testament stories—Creation, Adam and Eve’s sin, the flood. The day Megan told the story of Noah’s ark was the only day they had rain, and rain it did. But then the sky broke into a beautiful rainbow in the afternoon. It was as though God was providing the visual aids! Megan’s morning talks were not the only times during which the girls heard the story of salvation, beginning with Creation and concluding with Christ. Each evening for devotions, the counsellors read The Lamb to their campers. The positive response was very encouraging. Some of the girls had never heard about the Lord before and were eager to learn more. They were all into the book, excited about it, and asking questions. “Don’t stop! We want to hear more!” they said, when it was time for the counsellors to wrap up the evening. If the girls had their way, the counsellors would have read through the night. 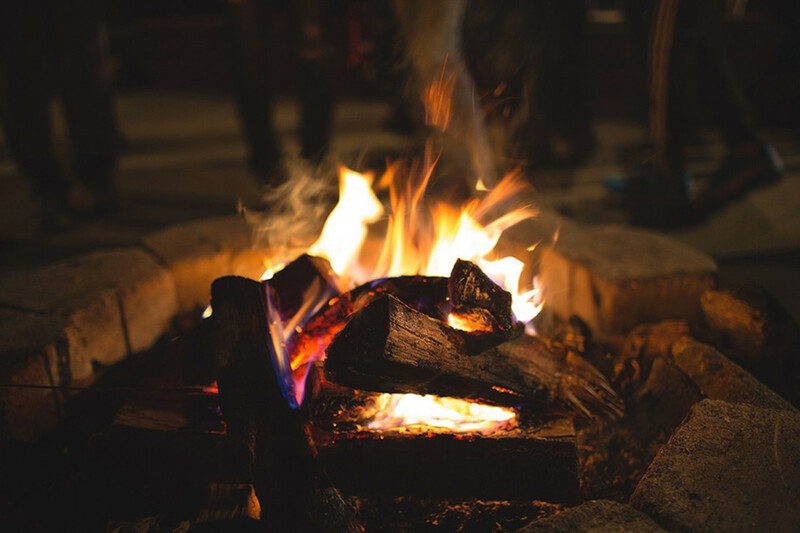 At one of the evening campfire talks, one of the speakers warned of God’s wrath against sin and reminded the girls of the importance of God’s way. Megan appreciated how he clearly summarized the gospel. She was even more delighted the next day when one of the campers told her that she had come to Christ as a result of his talk. This girl had grown up in a Christian home but had never understood salvation before. “How do you know?” Megan asked her. Later, another girl came to Megan. She said that she had always thought she was a Christian but, actually, had only been saved that afternoon while she was in her seat! By the end of the week, six girls made clear professions of faith in Jesus. God had been answering Megan’s prayers. She knew that he would be faithful to continue to work in the lives of each one of these girls, even after camp. “You just never know what is going on in the lives of these precious ones for whom Jesus came to save,” she said. Megan is just glad she was able to be one of God’s ambassadors to lead these girls to know and believe him.